When do I need to conduct a survey? Georgia is participating in a volunteer-based, nationwide acoustic survey effort to collect long-term data about bats. The state is home to 16 species of bats. All of them eat insects exclusively and use echolocation to navigate, communicate and find food. Echolocation calls can be recorded and used to identify bats. 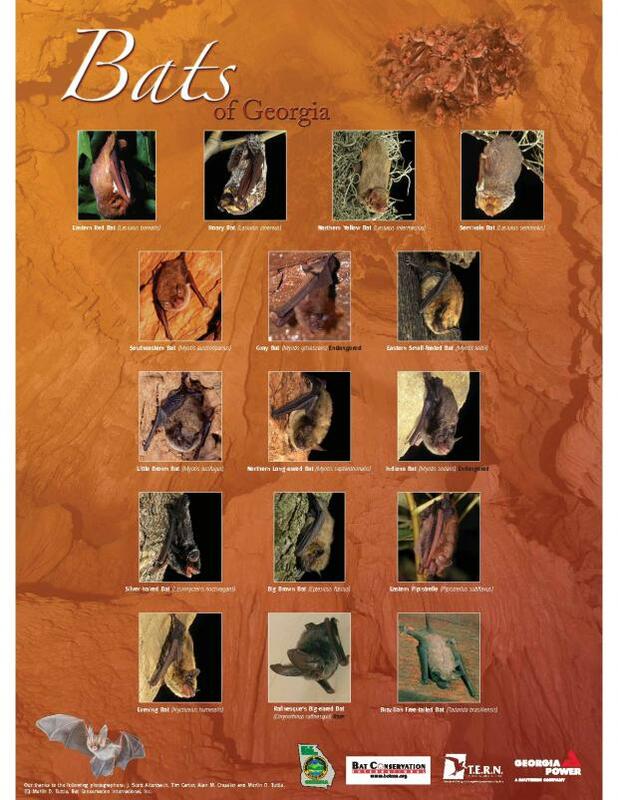 Georgia DNR is looking for your help to monitor summer bat roosts across the state. This project involves counting bats exiting roosts at sunset just twice during each summer. Think you can help? Keep reading! Don’t panic. Most situations can be handled by the homeowner. Bat Conservation International has step-by-step instructions for removing a single bat from your home. If you need to exclude a colony of bats from a structure, follow these guidelines based off of recommendations from BCI. Read more about Bats in Your House? Want to evict bats from your house without leaving them homeless? Or maybe you just want to attract bats to your yard for some natural pest control? Put up a bat house!